Great location. Apartment great. Only negative couldnt get wifi working. Would definately book this again. Great location and beautiful views of the lagoon and fireworks Friday night. Overall the place was very nice. It is perfect for 2 people. The kitchen could have been better stocked with utensils and bowls. The bathroom should have had Kleenex and more toilet paper as well. However the place was clean and great furniture. Thank you! Loved the amenities of the building and the location was perfect! Loved everything about this apartment and would definitely stay there again. Fantastic condo and the greatest location. I cannot say enough good things about this place. LOCATION, LOCATION, LOCATION. Very close to restaurants and we highly recommend Tony Romo's, the ribs are great. The only thing I think the owner needs to do is to put a shelf in the shower stall -- there is no place to put your shampoo or soap except on the shower floor. Really enjoyed our stay here, very spacious. Exactly what we wanted. Thanks for your email, the condo was wonderful. We ended up getting engaged right on the lagoon during the fire works on Friday April 13. We have zero complaints, and would recommend this vacation rental to others. Great suite and well appointed. 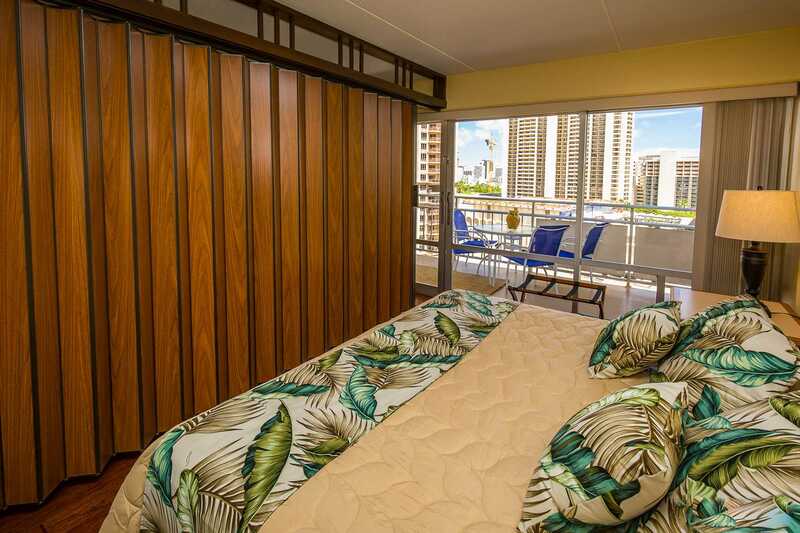 Enjoy the fireworks right from your lanai on Friday nightsBeautiful views of the Hilton Lagoon and the beach. 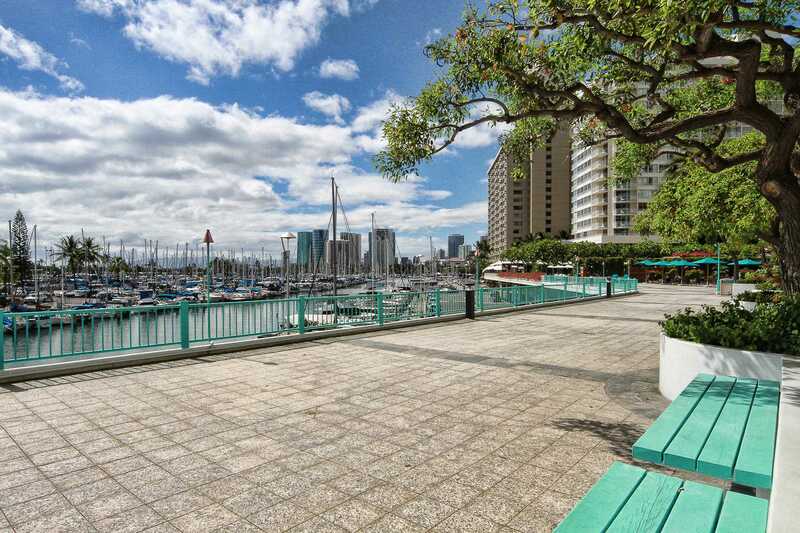 Right across the street from the more expensive Hilton Hawaiian Village with a full kitchen! Room was very nice & comfortable with great views of the Hilton Lagoon and Friday night fireworks ??. Great views. Everything you need to enjoy Waikiki!! Condo perfect ! Everything you need to love Hawaii!! 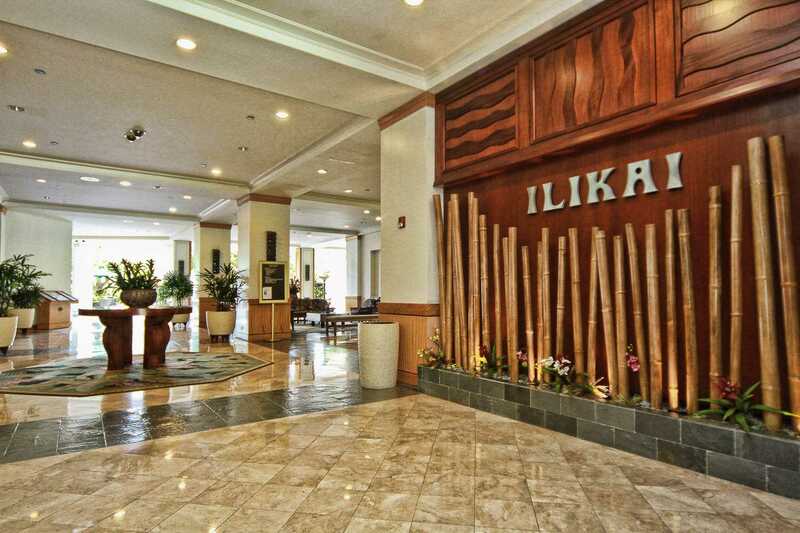 My wife and I stayed at the Ilikai the first time we went to Oahu in 2011. Returning over the Christmas holiday season in 2017/2018 with our two small kids aged 5 and 1, we thought we'd give it a try again as we had good memories from our first visit. 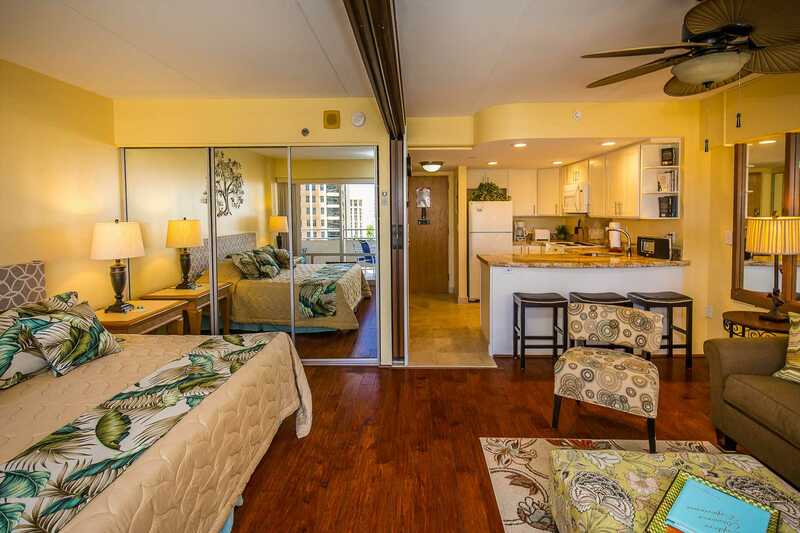 All Ilikai 1 bedrooms are 500 sq ft with a 120 sq ft lanai. We advertise that fact. This condo is advertised with a king bed and sofa bed. 2 bedrooms are available. 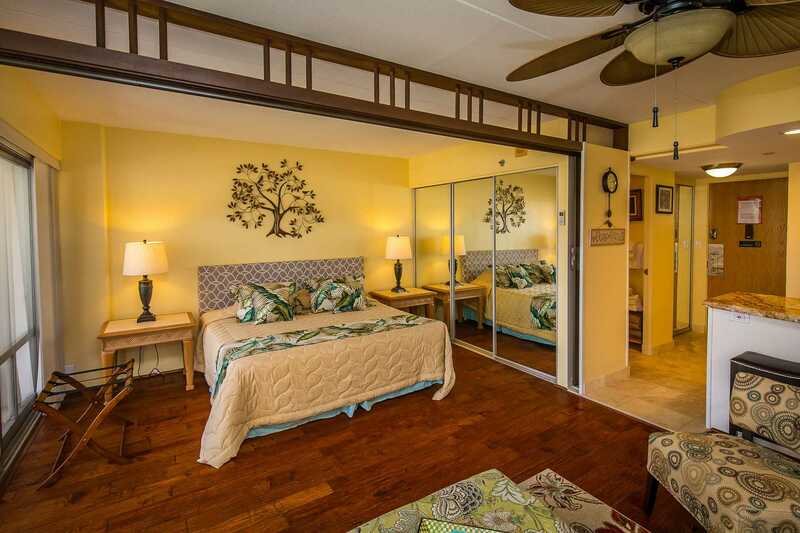 They are 1000 sq ft and have 2 lanais and bathrooms. We suggest this Guest try one of 2 bedrooms next time for his family of 4. 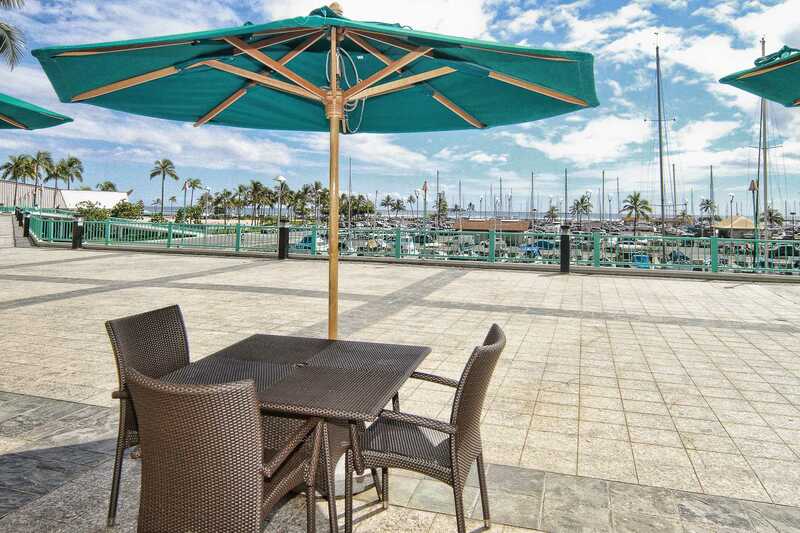 We enjoyed the close proximity to the lagoon in front of the Hilton Hawaiian, and also Ala Moana Centre (for shopping or Foodland for groceries) is just a quick drive down the road. However, parking is quite expensive near the Ilikai. There are self-serve lots, $1.00/hour which run 24/7, so you might as well just pay $28/day for valet through the Ilikai. Back in 2011, the self serve lots were $12 or so overnight. Unit 1130 is a bit older in decor (at least compared to the other unit in the Ilikai in which we stayed in 2011), but everything was nice and clean. Supplied beach towels were great to have too. 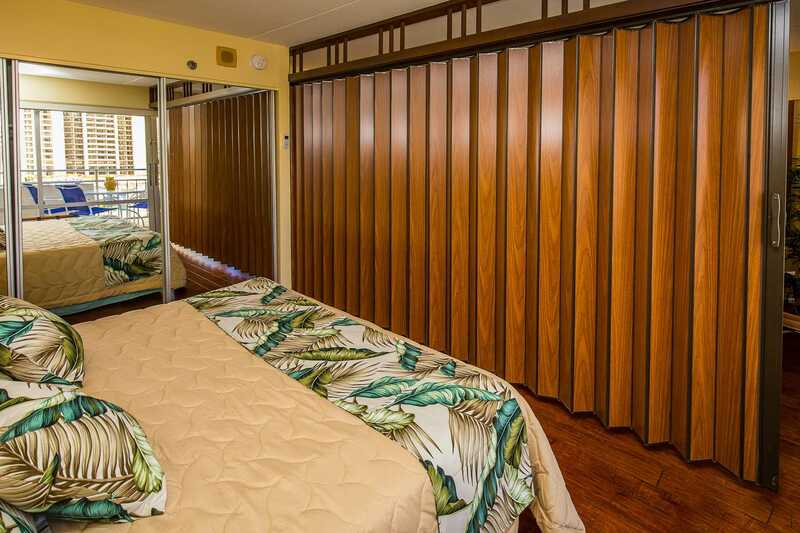 The unit is also unique in that there is a retractable divider between the bed and the rest of the unit. I have no issues with the unit, but as our children get older, we will likely stay elsewhere in the future, due to the relative lack of space, and also the noisy rooftop luau about a block away. That said, they are usually finished by about 8:00pm or so. Great view! Everything we needed to enjoy Hawaii. Clean good bed! I would definitely stay here again! The room was very nice. Didn't use kitchen much so can't say about how well equipped it was. Bed decent. Shower decent. Enjoyed sitting on balcony with the view over lagoon and pools. Location was terrific. Loved lagoon and ease of walking on beach to restaurants. Can even walk other way to movie theater and shopping. Appreciate the bin of sand toys, chairs and beach towels. Would stay again. Location was terrific. Loved the lagoon and ease of walking up beach to restaurants or other way to shopping and movie theater. This unit was amazing! We walked in and immediately was pleasantly surprised. It is spacious, hard wood floors, kitchen and bar stools, comfy bed, and everything we needed. The balcony is huge with a beautiful view. 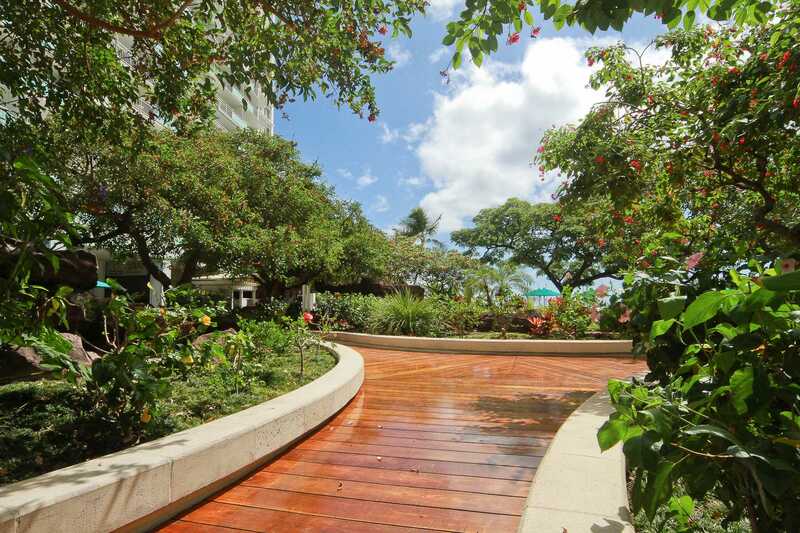 The location was perfect - walking distance to everything in Waikiki. We would definitely come back again! I've never stayed on this side of Waikiki before. It was great for my mom who doesn't swim well - Lagoon was great for her. Close to lots of great restaurants and activities. For those that struggle walking distance, the bus and trolleys are great. The condo was lovely. There were a couple cleaning issues in the bathroom when we checked in, but nothing that can't be caught for next time. The condo met all of our family of four requirements. It was very clean, spacious and great location. The lagoon was an added bonus. This was a wonderful property spotless and comfortable with beautiful views. My family and I enjoyed our stay at the Ilikai condo 1130. 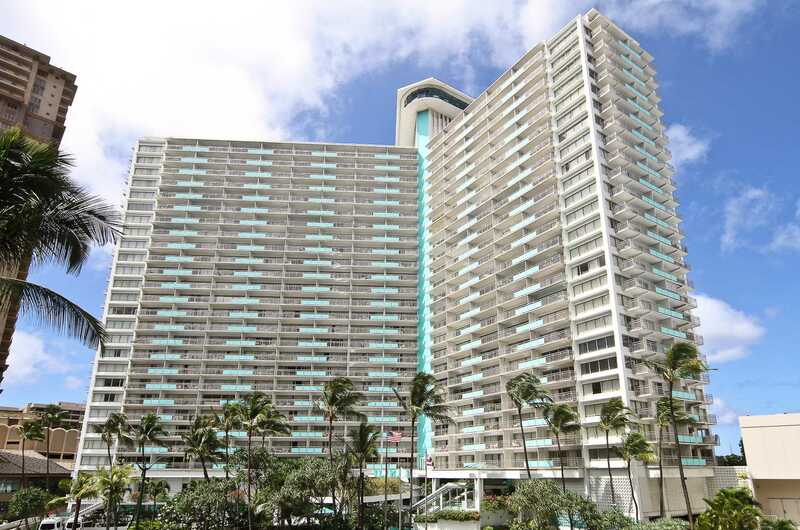 The condo was fully equiped with eveything you need including beach supplies! Bed was very comfortable and the views were amazing. We loved the fireworks on Friday night! We will definitely stay here again! We stayed at this condo for 12 days in July 17. We are a family of 4. Amazing views and great location. 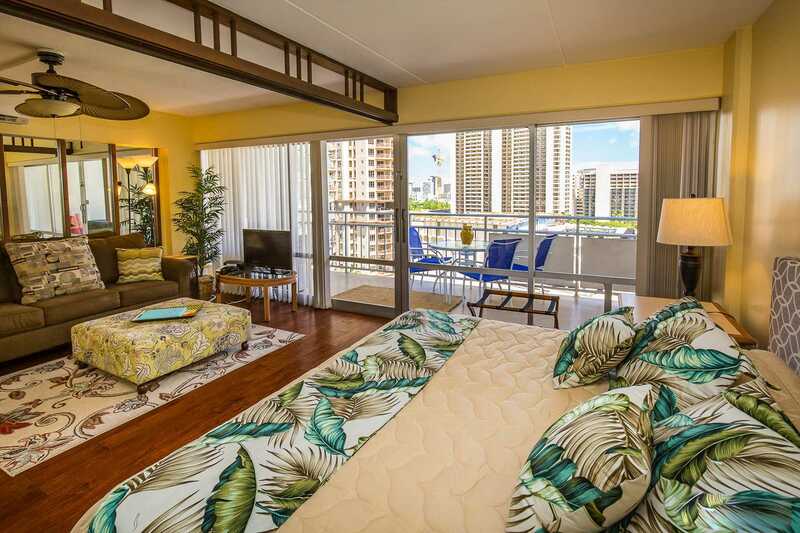 We have stayed at other condos at the Ilikai before and this a great one too,Had everything we needed during our stay and was very clean. We really appreciated the early check in after a long flight from Australia.Would definitely stay here again and recommend to friends.Thanks again for a wonderful stay. Wow! 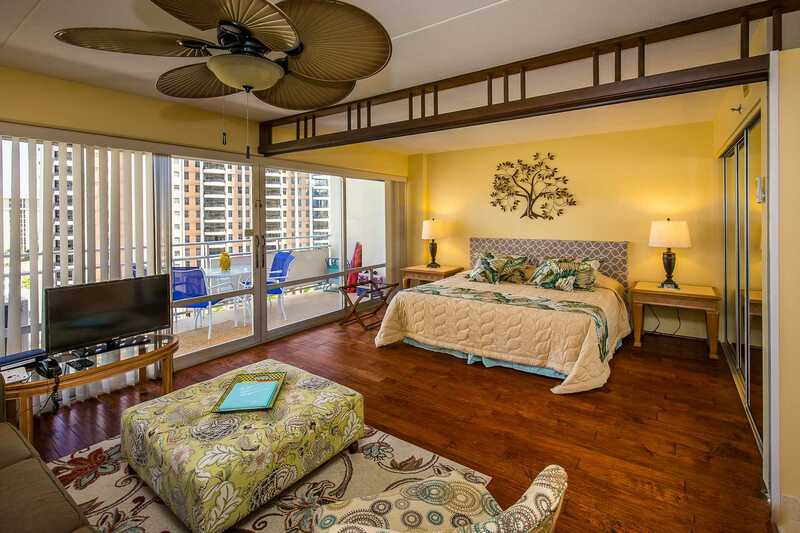 This condo was in such a fantastic location for walking around Waikiki! It was clean and stocked. It was beautifully decorated! The only thing that would have made it better would have been a more comfortable mattress on the pullout bed. We enjoyed making our meals and eating on the lanai looking out over the beach! Thank you for letting us use your beautiful home! We went to Hawaii with two other couples and we all booked through HVP. It was great that we were all able to stay in the samWow! 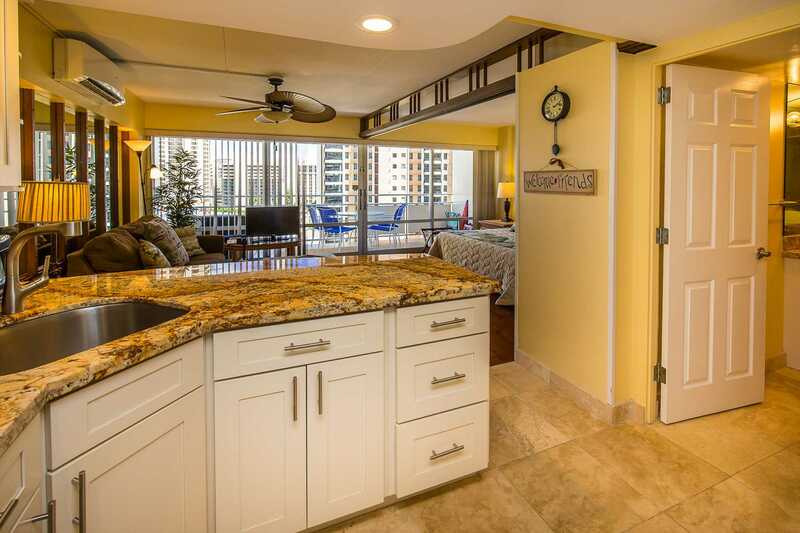 This condo was in such a fantastic location for walking around Waikiki! It was clean and stocked. It was beautifully decorated! The only thing that would have made it better would have been a more comfortable mattress on the pullout bed. We enjoyed making our meals and eating on the lanai looking out over the beach! Thank you for letting us use your beautiful home!e building. It was exactly what we were looking for in a place to stay. The accommodations were nice, close to the beach and lagoon. I loved that we had a key code instead of dealing with a key to try to remember. We stayed for a week and it was great being able to cook some meals instead of eating out all the time. The beach chairs, large fabric cooler, and other beach supplies were definitely used. It was awesome we didn't need to buy them. We would go back there again and stay at the Ilikai. It was a beautiful property and we really enjoyed the condo! This Condo was perfect! 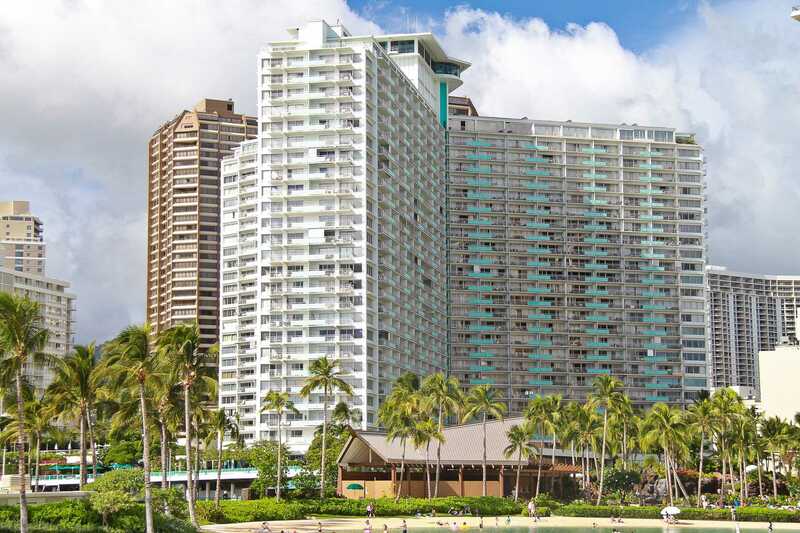 It has a great view and is located in the center of everything in Waikiki. There are also pool floaties and beach chairs available and the kitchen came in handy. The view is breathtaking every morning to wake up to. Parking is $28 for Valet but you can park at the marina for $20/24 hours. There is so much space in this unit. Im so glad we chose this condo and would definitely stay here again. We really enjoyed our first visit to Hawaii. 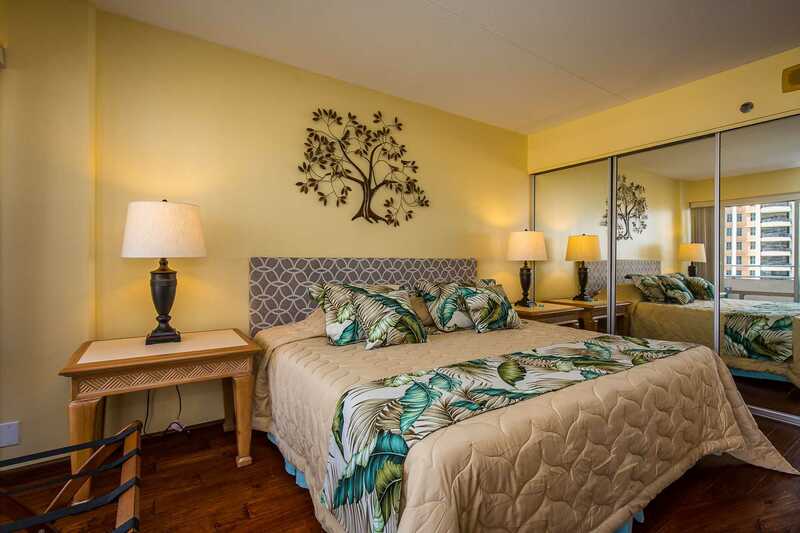 The location was great, walking distance to great shopping , dining and beaches. The view from Balcony was great, really enjoyed watching the surfing in morning and evenings and all the other activity on the ocean. The condo was well layed out , clean and everything worked well. We would come again. Thank you for a wonderful weeks stay at the Ilikai. The room was very beautiful with wonderful view of the lagoon and water. Had a nice display of the fireworks on Friday night and also a couple of nights of a luau at the hotel next door. The room was very clean and had basic supplies in the kitchen. Would definitely stay here again! Thanks again for a wonderful stay! Nice condo for a short stay. It was a great location to everything and handy having the bus at your door for touring around. For us we look for a comfortable bed and chairs to sit on and the kitchen equipped with standard utencils etc and we found this one lacked this but again for a short stay it was good. Place was super clean. Spacious with all the home amenities. A nice view from the deck and centrally located. Friendly staff and overall great stay. I would recommend this place and if we come back I would stay here again. Loved the condo, location and all the amenities. Location is great and the views were awesome. We would definitely stay here again. Property had everthing we needed. The views from the balcony were amazing. The condo is modern, clean and has the extras like beach chairs, boogie board, beach bag etc. Close to everything and the added bonus of being able to watch the fireworks from the balcony. Loved our stay in this fantastic condo, a credit to the owners. Location was perfect great view of the lagoon and ocean also The Starlight Luau over at the Hilton. The condo is perfect for 2 or 4 people. Condo had everything we needed including beach chairs,floats,cooler,umbrella.The lagoon is the best spot for floating around. The Ilikai is a beautiful place with everything you need right there. The coffee shop is a most and Cinammons is a great place to eat. The mini mart was a plus. Valet parking is $28 a day a bit much since the bus is so easy to take. Had rented a car that stayed in the lot the whole time we were there. Alot of tours pick you up right in front of hotel. McDonalds right across the road. Make sure to walk over to the marina to see the beautiful fish swimming freely. We really enjoyed our stay in condo 1130. Very much enjoyed our stay at this hotel.our suite #1130 was clean,bright .beautifull partial ocean view(except for construction going on below).location was good. Bed was a bit hard but ok.could use newer dishes,extra towels and beach towels.would definitely return. 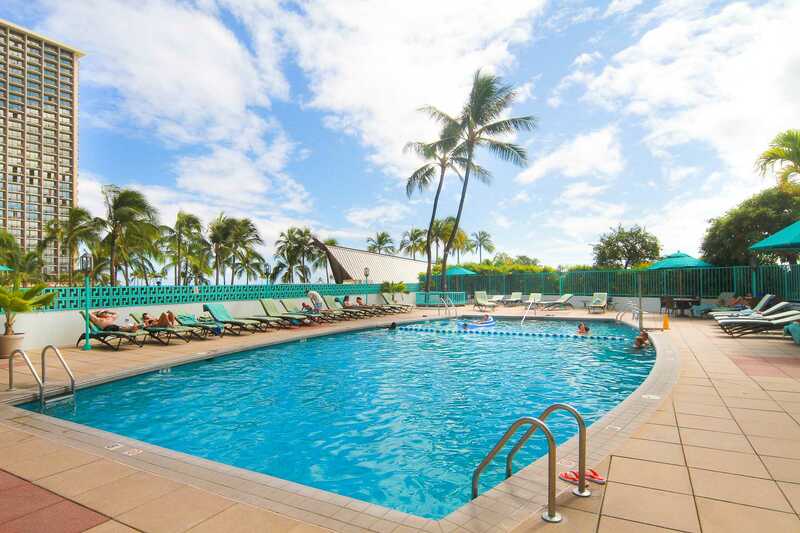 This is my second stay at the Ilikai, and it is the perfect place to stay! The room was beautiful, clean and perfect location. It is also a quiet place which I love! I would highly recommend this unit to everyone! Looks just like the photos, you won't be disappointed. Very clean and well presented. Spacious enough for us 3. Nice touches with plenty of lamp options to create soft lighting. Digital music system was great for setting the alarm on those early mornings. Parking was very convenient at the marina only $1 per hour. 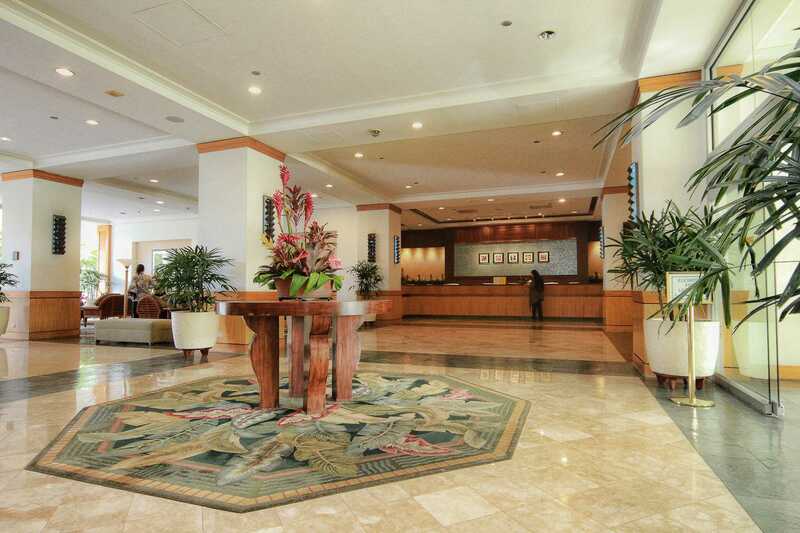 Location was ideal, close to Ala moana, food pantry, Wards Centre. Easy self check in check out. Will definitely be back. This is our second time at the Ilikai and again it was very nice. We stayed this time for 3 weeks and suite 1130 was perfect, never to big or to small. The room is very well set up to live in for any length stay. It is modern and comfortable. The view of the pool then lagoon and then the wide open ocean is hard to beat. We were lucky enough a few afternoons to see whale activity from our lanai. The morning sun is nice to get up to and the afternoon shade is great after a day at the beach. It would be nice if the curtains/blinds were updated as they will only turn one way and feel very fragile and ready to break and you are woken up very early by the sun in your eyes. Terry and Cookie at the pool are wonderful. Over all the Ilikai is great value for us. We stayed a week at Ilikai #1130 and could not be happier with the accommodations, beautiful condo and perfect location. Very reasonably priced! The entire staff at Ilikai was so friendly and informative. Be careful with Advantage Car rental, they are very rude and will try and overcharge you. 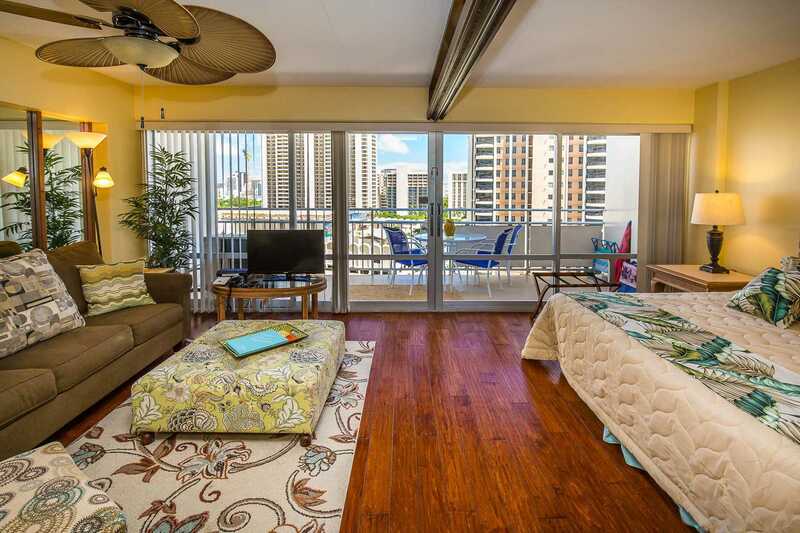 We highly recommend Ilikai and 1130, will definitely rent this condo again. Stayed 5 nights in unit #1130 facing the lagoon & Hilton Village. The condo was nicely decorated, had enough kitchen items to cook daily as I did for breakfast and enjoyed it on the balcony each morning to watch the sunrise. I enjoyed the fireworks on Friday night and watched two luaus that were being held at the Hilton Village, all from the balcony. There were beach chairs, cooler and beach bag for my use as well. Everything was in working order, appliances, iron, tv, A/C, iPod doc. The condo itself was lovely and it was close enough to the beach just by leaving the building and walking around the lagoon. Close enough to walk to the night life of Waikiki to enjoy but far enough to not be disturb. The only negatives - the a/c unit in the above condo dripped condensation on the balcony railing so if it was on for a long time I had to move the table to the far right to not get wet and the bed was not the most comfortable. May be time for a mattress upgrade. All in all the condo was great! I would definitely rent again. We stayed here for 1 week in August when it was very hot, the a/c coped very well. The condo is well furnished with a very comfortable king size bed. Bathroom and kitchen of generous proportions and both were scrupulously clean. We also liked the keyless entry. Bus and trolley stop is at the front door, and Ala Moana centre and Walmart are a 10 minute walk. Food Pantry is a 5 minute walk supplying all your groceries and beer and wine. We were able to watch the luau at the Hilton and the Friday night fireworks from our balcony. We had a wonderful stay in condo 1130. The Ilikai is so conveniently located, we especially loved the lagoon that our 5 year old son could swim in without a worry. The condo was very nice, had everything you would need and a little more. It was the perfect size for our family of three. The restaurant/bar down stairs was nice, they had music every night. We will definitely stay here again! 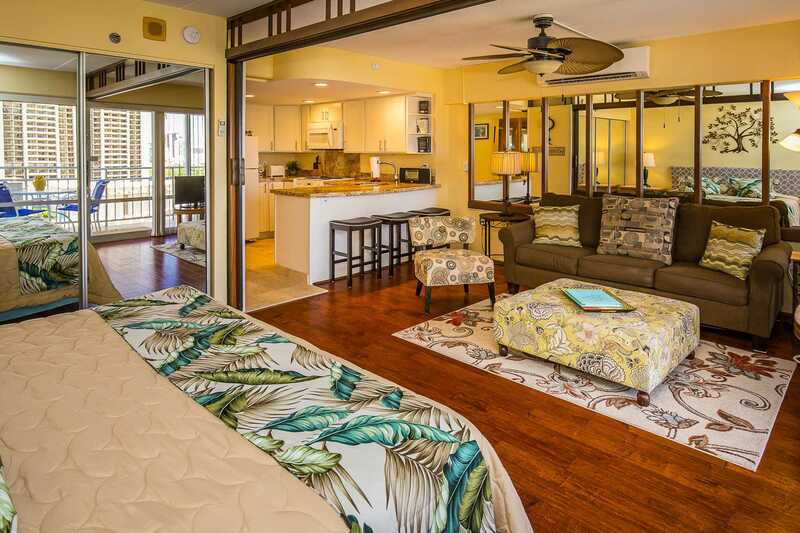 We just enjoyed 7 amazing nights in Ilikai 1130 (April 2015) and it was wonderful. The condo itself was modern and very clean and well equipped and the view over the lagoon and ocean was simply beautiful. We would not hesitate to stay here again or book with HVP as they were excellent to deal with. I stayed in this property for 4 days. 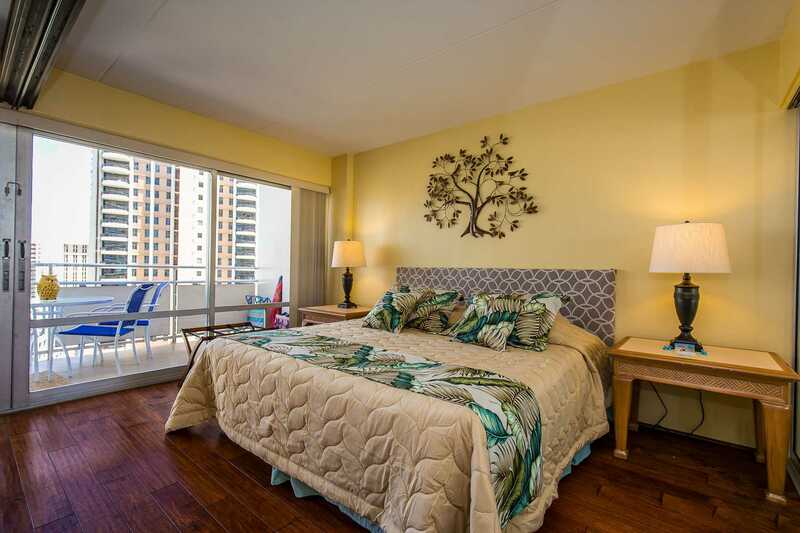 It's nicely located with a view of the shopping mall, the lagoon, and a bit of the ocean from off of the lanai. The unit is comfortable, nicely upgraded, and beautifully decorated. The bed was comfortable, and the kitchen was well stocked. A direct east orientation means that lots of sun comes into the unit in the morning, but the shades, powerful air conditioning and ceiling fan keep the room comfortable. Such a beautiful and comfortable apartment. What a wonderful surprise when we opened the door of condo #1130. Bright, brand new, spacious and beautifully decorated. So new in fact we needed to call maintenance (who were there in minutes) to open the sofa bed as the shipping straps were still holding the bed in the frame! The location of Ilikai #1130 was the best ever, because not only did we see the Fireworks display on Friday night but each evening we watched the Luau and the many Hula shows on the roof top of the Hawaiian Hilton while we enjoyed our glass of wine and the view of the ocean and lagoon from the lanai! The service was amazing from Kat and staff - whenever we called they answered immediately. It was a blessing not to have a key to carry around and worry about losing - the entry system was smooth. The Ilikai itself had a great coffee shop downstairs - The Aroma Caffe and excellent restaurant - Cinnamon for those times when you do not feel like cooking. For a wonderful view from the 26 floor Sarento's in the Penthouse serves great appetizers and cocktails with excellent service. The staff in the store Ku'ai downstairs are very pleasant they have some some great buys. The ABC store also just across the street. 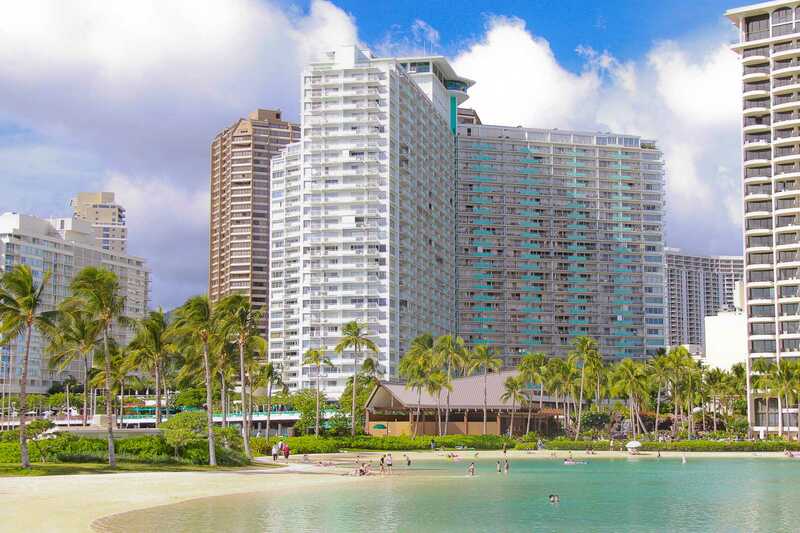 Apart from being 10 minutes walk from the Ala Moana Mall the walk to the beach and lagoon was a breeze with beautiful and peaceful Ala Moana Park beach and Magic Island all within walking distance. Also if you wished to visit Waikiki the Pink Trolley is outside the entrance and for $2.00 one can take the round trip to Waikiki and Ala Moana shopping center. As I need a mobility scooter to get around I found the apartment very accessible and was able to scoot to Waikiki and Ala Moana without difficulty. Just as soon as I can manage it I will be back! What a wonderful surprise when we opened the door of condo #1130.Bright, brand new, spacious and beautifully decorated. So new in fact we needed to call maintenance (who were there in minutes) to open the sofa bed as the shipping straps were still holding the bed in the frame!